Some are hailing it as a breakthrough for advertisers and for media company revenues. Others are reviling it as a sell-out — a breach of the wall between sacrosanct editorial content and for-profit advertising. In fact, it may be any or all of those things, or not. It depends on how it’s done. At first, I took “native advertising” to be just a new name for Jerry Coolman’s — and countless other advertisers’ — desire to stick their commercial messages into editorial space. But lately I’ve come to see native advertising as something much more – and something inevitable. The reason, as with so many other media changes we’re seeing, is because the mass media era is ending and the era of infinite bandwidth is beginning. Native advertising, also known as “content marketing,” was as inevitable as the appearance of things like Craigslist, YouTube, Facebook, Yelp, Pinterest and even goofy things like Snapchat. These changes are happening because the cost of disseminating information is falling to near zero, driving the quantity of information toward infinity. This shift is so massive and far-reaching that its effects are hard to comprehend. I’ve written about them often, starting with these two posts: The Mass Media Bubble and The End of the Mass Media Era. But how does this giant shift explain native advertising? Let’s take it in two parts — the content of native ads and the placement of native ads. With the constraints of limited bandwidth gone, scads of new content types are emerging. Unlimited bandwidth makes entirely new categories of content possible, and creative minds are rapidly inventing them. In the list above, every one of them consists of – and is successful because of – new types of content. Craigslist is people posting their own ads – not new, but never before available for free and with unlimited space. YouTube is people sharing their interests in video form. Facebook is people passing trivial or significant personal developments to their friends. Yelp is people relating restaurant or business experiences. And so on. These things just weren’t going to happen when bandwidth was expensive. 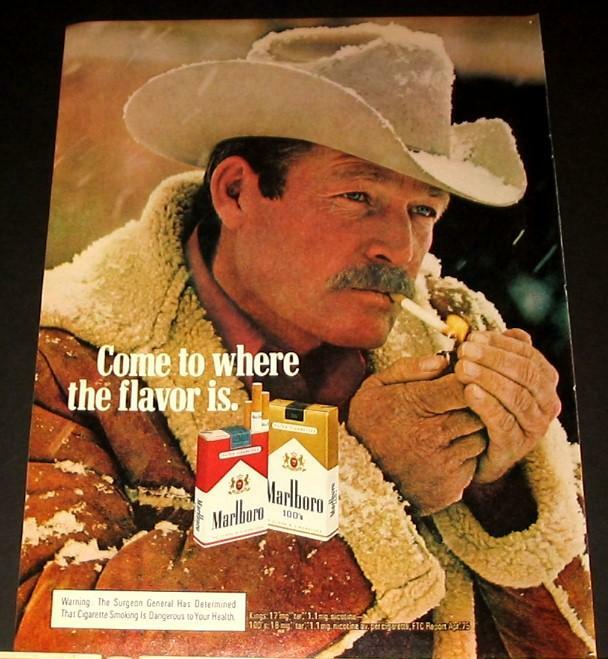 In Don Draper’s day, agencies and companies worked hard to reduce a company or product to a single ad slogan or iconic image (e.g., the Marlboro Man). The message had to be simple because it had to be shouted through a megaphone at a huge, undifferentiated audience. Back then, they could work with — at most — one or a few photos and maybe 100 words of copy in print or 60 seconds of video and 150 words of copy on television. Now they can use long copy, scores or hundreds of photos, and multiple videos and audio files. Companies and agencies are realizing they can now unpack their brands and product lines in ways that will connect on an almost one-to-one basis with their target customers’ diverse interests and characteristics. In this era, advertisers and agencies are challenged to think through how unlimited bandwidth can be used to deliver actual value, such as knowledge or entertainment, to potential buyers. It’s a new, customer-centric era of advertising. And it’s not just “content” any more — it’s also experiences and interactions, games, quizzes and contests. It can be anything a company can think up that will help someone understand, relate to or be excited about a product or brand. Long-form ad content isn’t really new, of course. Advertisers occasionally have used long copy, brochures, booklets and white papers to explain their products. But that was expensive, and it was hard to get the content to the customer. Today, long-form content is just a click away from an ad. Additionally, advertisers are no longer limited to reaching customers through OPM (other people’s media). They can create direct relationships with customers through their own digital channels, from websites to emails to apps (see www.redbull.com). And they can use native advertising on OPM to bring customers into digital channels they create. To me, the term “native advertising” encapsulates all of this. It signifies a new era for communication between businesses and their potential customers, requiring a level of customer focus and content sophistication never before seen in the advertising industry. New skills are required in writing, conceiving and producing content that provides enough value to win a customer’s time and attention. Okay, let’s say we’ve developed some great native advertising content for our potential customers. Now, what about placement? That’s less about the macro factors of the global information environment and more about the nitty gritty of making the ads work. In the mass media era, placement was pretty simple. The mass media, with their limited bandwidths, were like looking through a keyhole. Users could hardly avoid the ads. On the web, pages tend to contain far more elements, and eyeflows tend to stay much narrower in the attempt to locate desired content. Banner ads — unless they are massive and horribly intrusive — are easily ignored. As a result, most people think they don’t work, and low click-through rates seem to bear this out. No wonder advertisers are eager to put their messages into the flow of editorial content. And no wonder publishers are more willing to consider it. Many of them realize that ads need to work better if we hope to keep supporting good editorial content through ad revenues. And why not? The digital environment is functionally so different from the print environment that some of the old rules can be rethought. However, a sacrosanct rule in both spaces is, don’t fool anyone. Don’t let native advertising be mistaken for the publisher’s own, non-commercial content. Label it “sponsored content,” or “presented by (brand name),” or anything that makes it clear. Use color contrasts, lines, shading, or whatever helps to make it distinct from pure editorial content. Be transparent to the reader, giving him/her a fair shot to decide whether to click into the content. The best test of a placement format is to mock it up and take a look. As Justice Potter Stewart of the U.S. Supreme Court said about obscenity, it’s hard to define unfair ad presentation, but you know it when you see it. These days, on the presentation side, the media are still figuring out what’s fair to readers while also working for advertisers. There will be bad examples and good ones. I’m not worried — we’ll work it out. On the content side, native advertising is an unstoppable development. Sellers will be working harder and harder to develop content that customers will feel is worth consuming. And that’s a good thing, both for them and for their customers. Posted on July 15, 2014, in Advertising, Audience, Content, Disruption, innovation, Media business model, News, Revenue, Sales and tagged content marketing, digital marketing, media revolution, native advertising. Bookmark the permalink. 2 Comments.